The Blue-footed Booby Bird is a comical-looking tropical seabird with bright blue webbed feet and bluish facial skin. The head of the bird is a pale cinnamon-brown with dense white streaks. On the back of the neck, there is a white patch where the neck connects to the mantle. 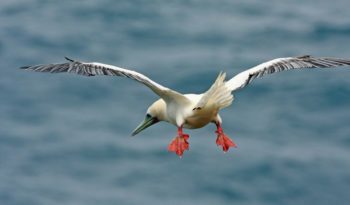 The lower breast, central tail feathers and under parts are white. 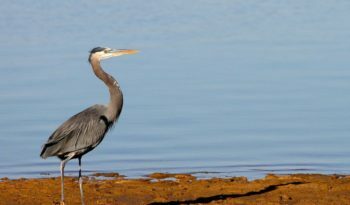 Its blue tapered bill has serrated edges that enables the bird to tightly grasp fish. The Blue-footed Booby bird is a little under three feet long and its wingspan is about five feet. The Blue-footed Booby bird plunges head first into the ocean, with its wings partly folded, to catch fish. It even catches flying fish when they are still in the air. The Blue-footed Booby bird can also dive for fish while it is in a swimming position. Blue-footed Boobies have a very elaborate mating ritual. The male raises one blue foot in the air, then the other, as he struts in front of the female. His movements make him appear to be dancing as he stamps his blue feet up and down on the ground. 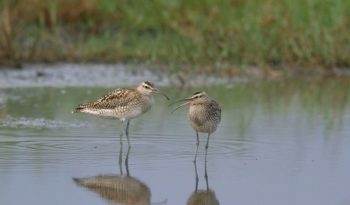 Both the male and the female stretch their necks and point their bills to the sky. The male spreads his wings and whistles. The female may tuck her head under her wing. Below you can view a short video showing the mating ritual of the Blue Footed Booby Bird. The female Blue-footed Booby lays two to three pale blue or green eggs. Their nest is on the ground. The eggs take about 45 days to hatch. Both parents incubate the eggs using their feet. As the eggs start to hatch, the parents will rest the eggs on top of their feet. 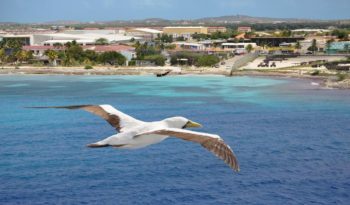 The male Blue-footed Booby bird brings food back to the nest for the female Blue-footed Booby bird and the chicks. The chicks take regurgitated fish from their parents bills. The chicks stay with their parents for about two months. The Blue-footed Booby nests in colonies. The diet of the Blue-footed Booby consists entirely of fish. It dives into the ocean, sometimes from a great height, and swims underwater in pursuit of its prey. It hunts singly, in pairs or in larger flocks. When the lead bird sees a fish shoal in the water, it will signal the rest of the group and they will all dive together to catch the fish. Surprisingly, individuals do not eat with the hunting group, preferring to eat on their own, usually in the early morning or late afternoon. 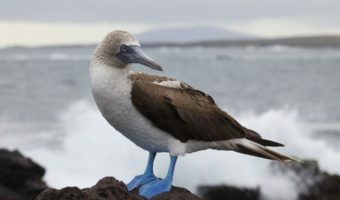 In all Blue-footed Booby birds it is possible to identify the males from females because they are dimorphic or they differ in their appearance. 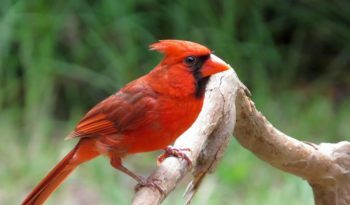 Males have a peculiar soft whistle while females have a very strong honk sound. Also females are larger than males in body size. Yet, only on blue boobies the pupil on the females eye, looks larger than that of the male. 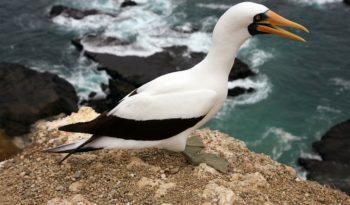 The name ‘booby’ comes from the Spanish term ‘bubi’, which means ‘stupid fellow’. This is because the Blue-footed Booby is clumsy on the land, and like other seabirds can be very tame. It has been known to alight on boats, where it was once captured and eaten. 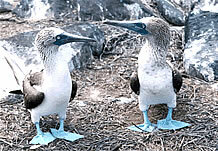 The colour of the feet in these boobies ranges in the tones of blue from electric blue or indigo blue and even turquoise blue and it has nothing to do either with gender or age of the individuals. Nobody knows why this blue colour was selected by nature but it is helpful for the individuals to recognize their own kind.